Hydrocut, a leading worldwide manufacturer of the finest forestry equipment. Whether you require high quality log splitters, post pointers, hedge cutter equipment or saw head attachments you can rest assured you will find everything you are looking for, here at Hydrocut. The machines we manufacture are utilised worldwide due to their durability and effectiveness. We are always thinking of new inventions to make our products better. The Hy-point post pointing machine for example is the more efficient and much safer alternative to the saw bench. With over 65 years’ experience within the industry we are proud of the reputation we have gained as forestry equipment providers that you can rely on and offer our products at highly competitive prices. Founded in the early 1950s, Hydrocut remains a family run business now with third generation involvement. It started as an agricultural contracting enterprise, but quickly evolved into an engineering company. In the late 1960s Hydrocut was the first to use hydraulics to power tractor mounted hedge cutters and gained an international reputation for exceptional quality, selling machines around the world. One even featured in an Alfred Hitchcock film and, amongst other agricultural machinery, was used to chase Sophia Loren across a wheat field – the first we knew of this was when watching the film in the cinema, we do not recommend this particular use! 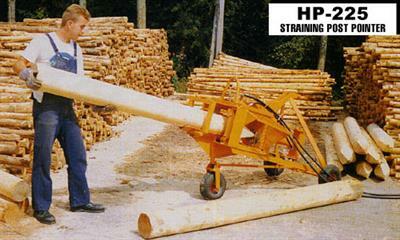 Innovation continued with the development of the iconic Hy-crack log splitter, since then then close to ten thousand have been sold, many outside the UK. The build quality is such, that many, if not most of the original machines are still in use today, despite being over 30 years old. In the early 1980s one of the founders had a eureka moment, purportedly in the bath, and invented the Hy-point post pointing machine; the more efficient and much safer alternative to the saw bench. 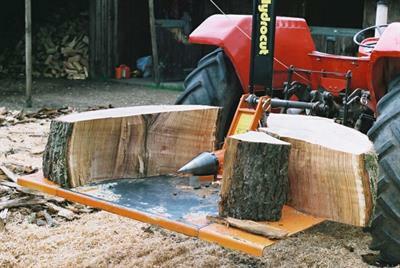 These machines are in most saw mills throughout the UK and also in mills abroad. Again, the UK build quality has resulted in machines which can continue to operate literally for decades, even when in virtual daily use. It has been estimated that in excess of 750 million posts have been pointed on Hy-point machines, although the figure is more likely double this. Hydrocut, and the products produced, stands for quality and longevity.